Max Verstappen and Nico Hulkenberg will take grid penalties in the United States Grand Prix. 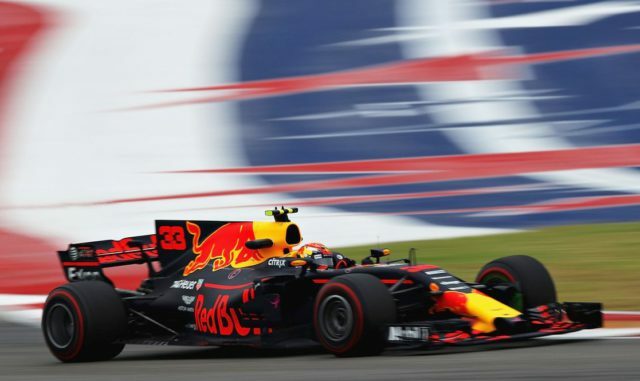 The Red Bull driver is expected to take a new internal combustion engine and at least one other new element. This means he will earn at least 15 places in penalties. Hulkenberg in Renault will fit sixth MGU-H, fifth ICE and fifth Turbocharger ahead of Friday practice at the Circuit of the Americas. As a result, he will take 20 places drop. Brendon Hartley from Toro Rosso also has grid penalties for his first Grand Prix start this weekend. Hartley will run a sixth ICE, sixth MGU-H, fifth Energy Store and fifth Control Electronics, which totals a 25-place penalty. Hartley is running Toro Rosso’s #1 chassis, previously raced by Daniil Kvyat and Pierre Gasly, with Kvyat now on the #2 chassis, formerly used by Carlos Sainz Jr.
Vandoorne, meanwhile, has moved onto his eighth ICE, featuring small updates from Honda. This has labelled the unit ‘Spec 3.8’, leading to a five-place drop.